As you are all aware, October is Breast Cancer Awareness month! 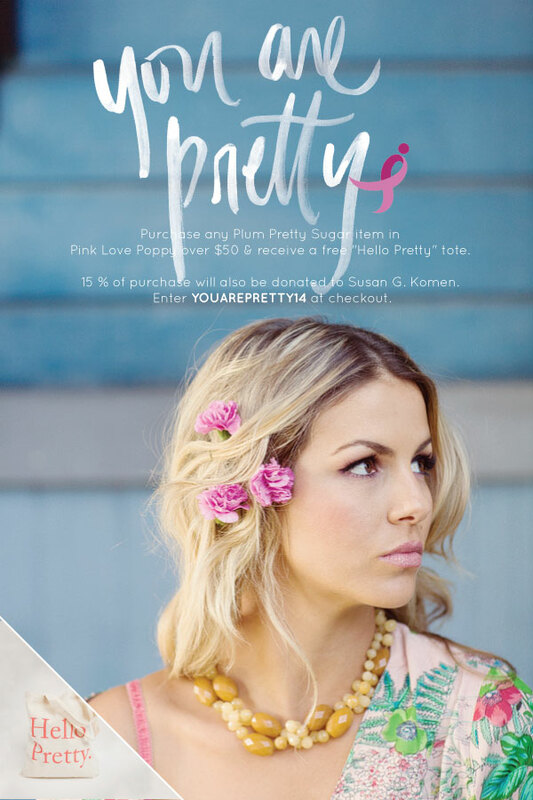 J&J are collaborating with Plum Pretty Sugar to create awareness. It's a special cause close to our heart, so we were honored when Plum Pretty Sugar contacted us about their Pretty Awareness campaign! During the month of October, customers who purchase an item in their Pink Love Poppy print will receive a free “Hello Pretty tote AND the best part… 15% of the purchase price will be donated to the Susan G. Komen for the Cure Foundation! So amazing. Must enter YOUAREPRETTY14 at checkout to receive. Order must total $50 without shipping cost and include an item in Pink Love Poppy fabric/print. Valid on orders placed now to October 31, 2014 or while supplies last. Limit one per customer, per order, per household and per credit card. Orders may not be split or divided. Offer is not retroactive and may not be combined with another promotion. For my special day I purchased their Beckoning Creatures robes. 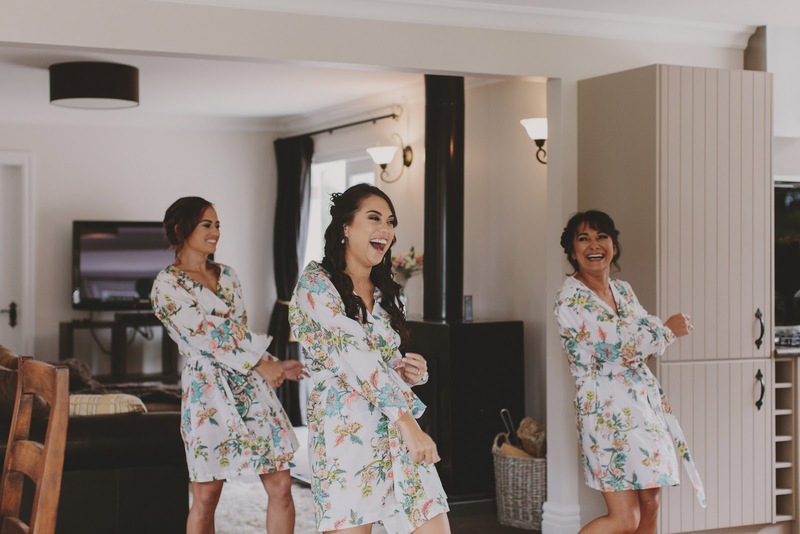 It was so fun getting ready in the robes and they made for some awesome pictures! I am a big fan of this of this company and love love love their new campaign for the month of October.